Best-selling author who has helped hundreds of thousands of families and individuals in managing the steps on their journey with Autism Spectrum Disorder, coming to Charlotte/Concord, NC, October 19th. Tony wrote the groundbreaking book Asperger’s Syndrome, which would become the bible of Asperger’s. He has over 30 years of experience with the autism spectrum and his works are among the best in the field. From being bullied to the speaking at the United Nations... Anita provides an insider's perspective on perseverance, optimism and Asperger's. 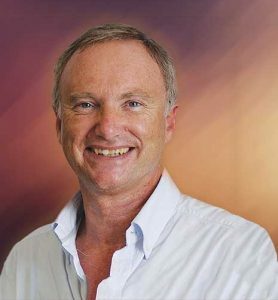 Dr. Tony Attwood, A clinical psychologist from Brisbane, has over 30 years of experience with individuals with autism, Asperger’s syndrome, and Pervasive Development Disorder (PDD). In addition to the workshops he provides all around the world, Dr. Attwood is a prolific author of scientific papers and books. His works on Asperger’s syndrome and high-functioning autism are recognized as the best offerings in the field. 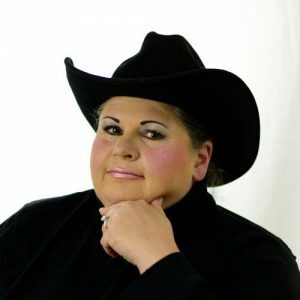 Anita Lesko, Joining Dr. Tony with a personal testimonial will be Anita Lesko. Anita will speak to the effects of bullying she faced in her childhood up to her present adult years. Anita was diagnosed with Asperger’s Syndrome at age fifty. Having been honored by the United Nations as a guest speaker for National Autism Day in 2017, Anita is an advocate for people with Asperger’s Syndrome. She started a support group for people of all ages with Asperger’s and their families and friends, which meets monthly. She is the Founder of the Flying High with Autism Foundation, as well as founder and CEO of Born With Asperger’s—an educational and helpful site not only for people with Asperger’s, but their families, employers, fellow employees, educators, neighbors, and anyone who might know someone with Asperger’s. Her books include: Asperger’s Syndrome: When Life Hands you Lemons, Make Lemonade, The Blue Angel, co-author of Been There. Done That. Try This!, An Aspie’s Guide to Life on Earth The Aspie Mentor Guide to Life on Earth, a featured chapter in Dr. Temple Grandin’s book Different . . . Not Less, and Lesko’s latest book, The Complete Guide to Autism and Healthcare: Advice for Medical Professionals and Those on the Autism Spectrum. 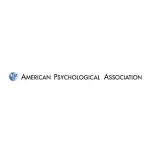 Future Horizons is approved by the American Psychological Association to sponsor continuing education for psychologists. Future Horizons maintains responsibility for this program and its content. 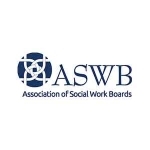 Future Horizons ACE #1018 is approved as a provider for continuing education by the Association of Social Work Boards ( ASWB). 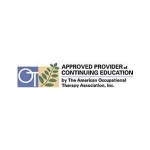 (AOTA) approved provider of continuing education. This conference is offered for 0.6 CEUs. 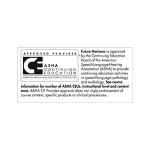 The assignment of AOTA CEUs does not imply endorsement of specific course content, products, or clinical procedures by AOTA. Future Horizons is dedicated to making its courses, events and meetings accessible to all. We strive to provide access – to the fullest extent possible – to our conferences based on an awareness of participants’ needs. If you require assistance due to a disability, please provide Future Horizons with the information and we will engage in a process to work with each individual to determine appropriate accommodations. Requests need to be received no later than 2 weeks prior to event date. Please click the below button to send your request for special accommodations or visit our contact us page. *Family Suite $139.99 with access to waterpark using reservation #AUTI. Please call 1-866-751-9653 for this special offer. Valid until Tuesday September 18th, 2018. 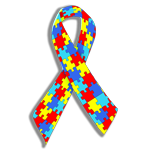 The Autism Conference has been cancelled, out of respect to the victims of the recent hurricane. Our staff is working hard to communicate with the ticket holders to enable a refund for everyone. Our thoughts and prayers are with the people of North Carolina and all areas devastated by the hurricane.